My computer died !!! the second time in two months but it has be bought back to life by a kind friend and I am praying it doesn’t die again! It is scary how reliant on it I have become and how much I missed it. 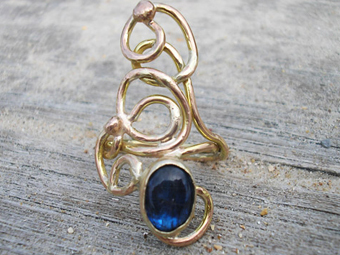 This ring is 9ct gold and a rather wonderful Kynatite stone, slightly more blue than iolite but still as gorgeous. You can check my website to buy it. I noticed a little something as effectively about th is on different weblog web-site.Amazingly, your linear perspective on it is diametrically opposite to what I learn earlier than. I’m still making an attempt to figure out more than the opposite points of view, but I am tipped strongly toward your level of view. And regardless, which is what is so terrific about fashionable democracy and the marketplace of ideas onthe world wide web.